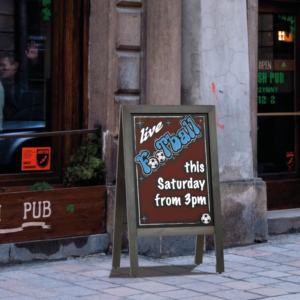 AFrame Pavement Sign - A2, A1 and A0 available with pvc posters. 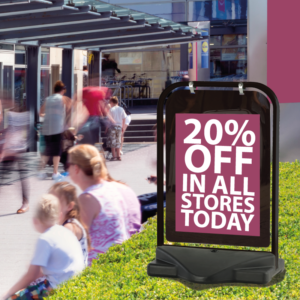 Are you in need of the quick fold out pavement sign that you can change with ease. Then check out the ever popular A Frame pavement sign that is lightweight, attractively styled, double-sided poster A Board. It boost a stylish 32mm profile snap frame, that offers anti glare PVC poster cover, allows easy poster change. It is a front-loading “snap open, snap shut” frame. Hinge locking arms ensures stability. This A Board is ideally suited for sheltered areas or in store display. 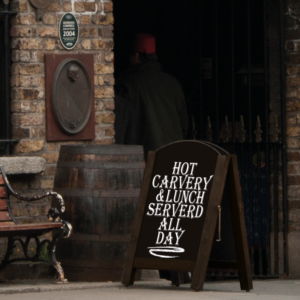 AFrame pavement sign is ideal for any café, sandwich bar, restaurant etc. The sturdy construction frame allows the A Frame to be low cost. Standard 1 year warranty applies to sign only. 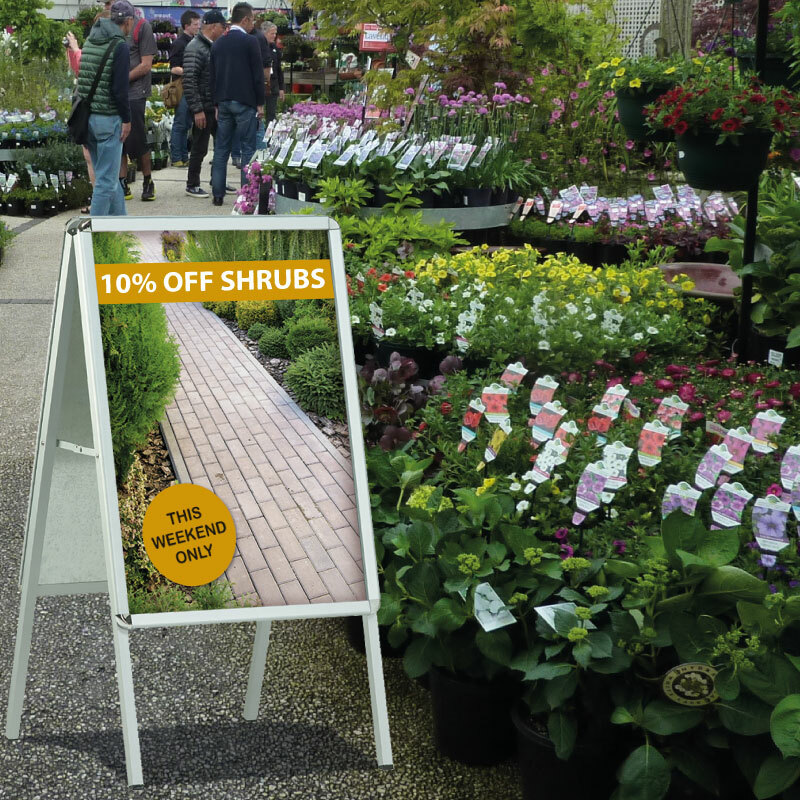 Order your A-Frame pavement sign along with your posters. We recommend printing of your posters on PVC, these are more durable and weather resistant. Place an order today on our competitively priced website.